Twentieth Century Fox’s (FOX) action-thriller Alien: Covenant, hitting theaters May 19, marks visionary director Ridley Scott’s return to the universe he created. 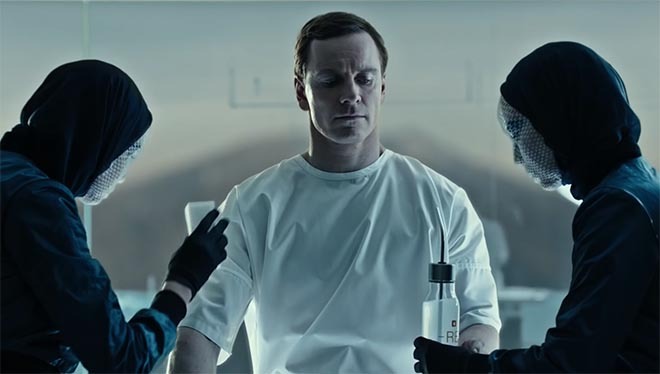 FOX has tapped Advanced Micro Devices (AMD) to be the official CPU/GPU partner for Alien: Covenant and has released this branded short, Meet Walter starring Michael Fassbender as his character Walter. As the centerpiece of the #MeetWalter campaign, this short introduces Walter, the latest synthetic android with intelligence powered by AMD (NASDAQ: AMD), RyzenTM and RadeonTM processors, and manufactured by the film’s fictional corporation Weyland-Yutani. Walter is presented as the world’s most advanced synthetic companion, created to serve and designed to help achieve a better human experience with intelligence. 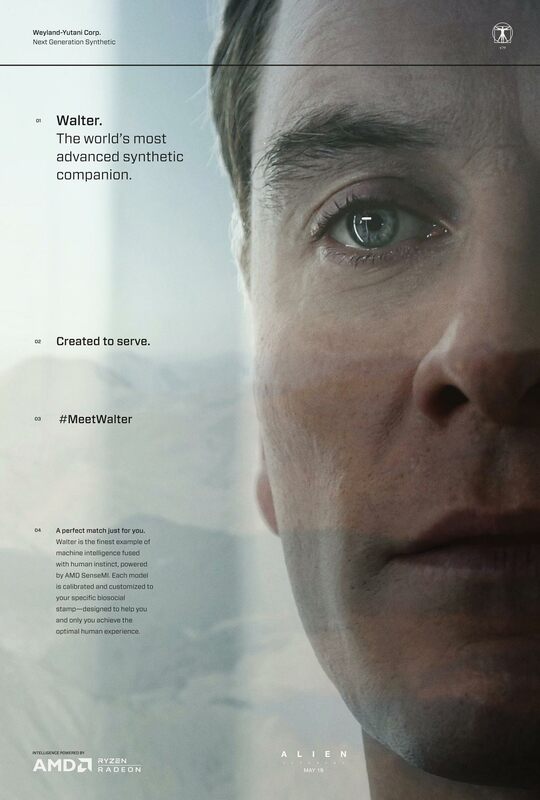 The Meet Walter campaign includes a limited-edition poster and a Twitter activation allowing users to tweet #MeetWalter to receive a personalized video autoreply from Walter. Alien: Covenant follows the crew of a colony ship bound for a remote planet on the far side of the galaxy that discovers what they think is an uncharted paradise, but is actually a dark, dangerous world. When they uncover a threat beyond their imagination, they must attempt a harrowing escape. The ensemble cast includes Fassbender, Katherine Waterston, Billy Crudup and Danny McBride. In addition to directing, Ridley Scott serves as producer along with Mark Huffman, Michael Schaefer, David Giler and Walter Hill. The screenplay is by John Logan and Dante Harper from a story by Jack Paglen and Michael Green. “Once we saw the great connection between ‘Alien: Covenant’, the ‘Meet Walter’ short and AMD processor technologies, including AMD SenseMI technologies in our new Ryzen processors, and our Radeon Instinct accelerators, this technology collaboration with Twentieth Century Fox and Luke Scott was one we couldn’t resist,” said Jim Anderson, SVP & GM Computing & Graphics Business Group. Meet Walter was commissioned by 20th Century Fox by worldwide marketing president Pamela Levine, SVP marketing partnerships Zachary Eller, VP marketing partnerships Chris Cerbo, director of marketing partnerships Brendan Murphy, VP digital marketing Noah Young, social media director Matt Creem, publicity SVP Heather Phillips, publicity VP Catherine Culbert, publicity director Nathan Marcy. The Meet Walter trailer was developed at 3AM by concept leader Ridley Scott, managing partner Alison Temple, creative director Chris Eyerman, senior creatives Will Melton, Michelle Gilbert, Kelly Girth, social strategist David Sarkissian, executive director of integrated strategy Tiffany Duersch. Strategy and marketing work for AMD was by 48 Communications president Karl Stewart. Filming was shot by director Luke Scott via RSA Films with director of photography Ross Emery, producer Hannah Ireland. Visual effects were produced at Atomic Arts by VFX supervisor Charley Henley. Editor was Nick Temple at Wild Card.